Choosing The Best Graphics Card For a Budget of Rs. 12,000 to Rs. 14,000. If you are looking for an entry-level graphics card to play games like PUBG, GTA 5 or the latest Assasin’s Creed title here are some of the good graphics card options for you. Recently, Nvidia launched the new RTX series with super expensive RTX 2080, 2080 Ti. However, they are yet to launch anything for the budget segment. So best choice for us currently is the 10 series from Nvidia or the RX 500 Series from AMD Radeon. In this article, I will just stick to discussing two graphics card that is perfect for a budget of Rs. 12,000 to Rs. 14,000. 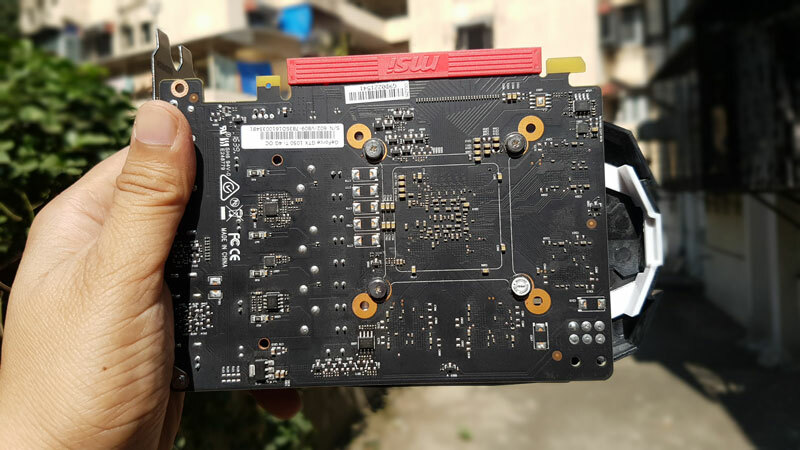 If you have a higher budget you can refer to Best Graphics Cards Price under Rs 20000 or can refer to the Best Graphics card in the 5k-10k range. The top 2 graphics cards that currently offer great performance for the price are the Nvidia GTX 1050 Ti and the AMD Radeon RX 560 in the sub 15k price range. Let’s first talk about the AMD Radeon RX 560, and then we will check the Nvidia GTX 1050 Ti. The AMD Radeon RX 560 is available for Rs. 11,300 to Rs. 13,000 in India. 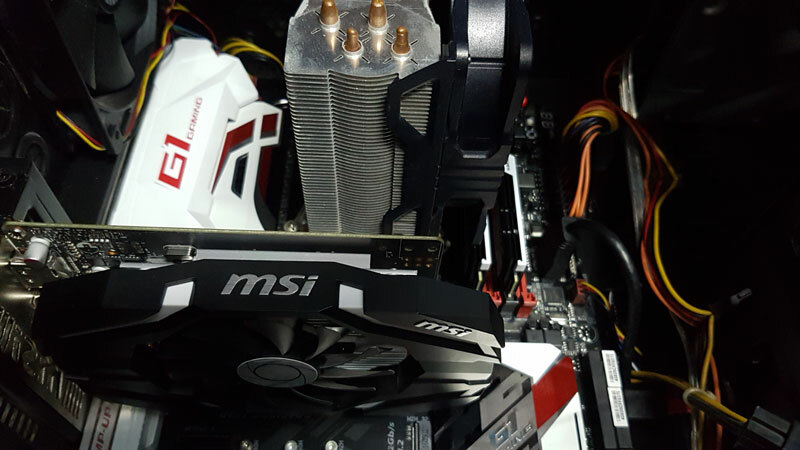 There are different brands that are offering the GPU – MSI, Asus, Sapphire, Gigabyte. The prices are more or less same with a slight difference. The Graphics card was originally launched in April 2017 and is still the latest card you can buy from AMD’s stable. It is based on the 4th Gen GCN architecture and has support for DirectX 12 and Vulkan API. Also, Read How Much VRAM is required 2GB or 4GB. The Graphics card also supports the AMD Liquid VR technology, Free Sync. Also, it comes with a new improved driver environment as well as the Radeon Adrenaline software. As shown in the above pictures, we have AMD RX 560 from Sapphire and MSI, and there are others available from Gigabyte and Asus. You can get a single Fan Cooler RX 560, or even with a Dual Cooler. Considering this is not a very high-end GPU, even a single Cooler is sufficient to keep the temperatures in check, and offer great performance. Also, you won’t need a big space in your cabinet when adding a single cooler card. You can buy the RX 560 for playing any modern game such as PUBG, and can easily have 60 FPS on the medium settings. Or even if you want to play DOTA 2 or the CSGO it is superb. Next, let’s have a look at the GTX 1050 Ti before we see the gaming benchmarks. The Nvidia GTX 1050 Ti is available starting at Rs. 12,000 and up to 16000 from different brands. You can get both the single cooler, or a slightly more expensive, Dual Cooler GTX 1050 Ti. The GTX 1050 Ti is slightly older in comparison to the RX 560 and was originally released in October 2016. It has Pascal architecture. The graphics card is super energy efficient and needs a small 300 Watts PSU to work. There are several brands offering the GTX 1050 Ti (pre-overclocked), such as Zotac, Gigabyte, Asus, MSI, Galax, XFX and so on. 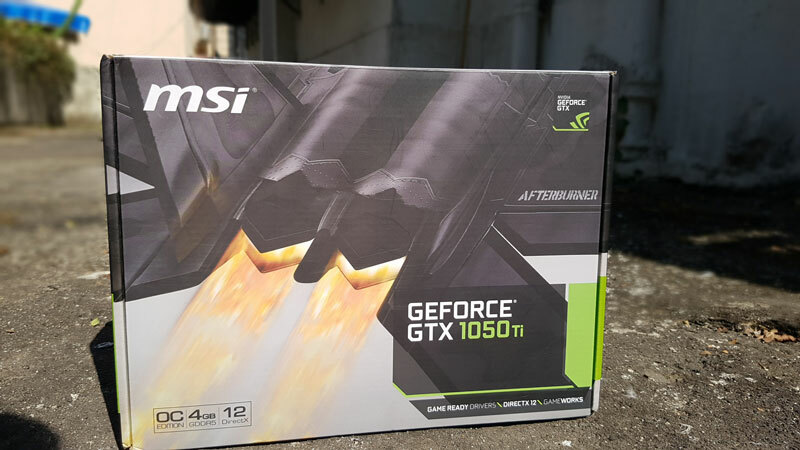 I have done a detailed Review of the MSI GTX 1050 Ti and found it be great for Gaming at 1080P resolution. Aforementioned, you can easily play games in the 1080P resolution with High or even Ultra settings depending on the graphics requirement of the games. Also, if you want to work on Adobe Premiere Pro or Photoshop, the card is fast and will help you reduce your editing time. If you wish to check the benchmark scores of the GTX 1050 Ti in detail can check the detailed review. Before getting to the Conclusion. Let’s look at some other essential requirements. PC Monitor Resolution – Suitable for 720p/1080p Gaming for high/ultra settings. Most of you would be using a 720P or a 1080P monitor and both these cards are excellent for gaming on these resolutions. The PC power supply is another important requirement which we need to factor in when buying a new GPU. Both of these cards work with a PSU with 450 Watts and are quite energy efficient. The 1050 Ti can even work with a 300 or 350 Watts PSU. These graphics cards can work with any motherboard which comes with the PCI-E 3.0 support and even is backward compatible with PCI-E 2.0 ports. How to find out if your motherboard is compatible with the GPU? You can go to the board manufacturer website and see if the board has the above-mentioned ports. You can easily run the GPUs with any of the latest Ryzen processor, or the Intel Core i3 or higher, without bottlenecking the performance. Ideally, you should have 8 GB of ram, but things may work out even with just 4 GB. You can use any DDR3 or DDR4 Ram. The graphics cards support Windows 7,8, 10, so that shouldn’t be an issue. Most of the Brands making GPU’s are mature and offer quality products, but if you want my suggestion I will pick Sapphire, Asus, Gigabyte or MSI. After sales service is also important if you have a service center of any brand in your city, prefer that brand. Based on the above benchmark scores the Nvidia GTX 1050 Ti is about 12% faster in comparison to the RX 560 in most of the titles. However, there can be exceptions like the Divison, where the RX 560 matches the performance of the 1050 Ti. Overall, the GTX 1050 Ti wins with ease. In conclusion, Both the cards are good for the current price. These are not affected by the crypto-currency mania, and the prices are not inflated. Also, you may be able to buy a used card from OLX or Quickr, which can also save some bucks. Clearly, the Nvidia GTX 1050 Ti offers slightly better performance but can be expensive by Rs. 1000. But I think if you can stretch your budget a little bit for the GTX 1050 Ti you will have a more future proof card. Also, Nvidia has a slightly better and faster support for drivers. They release game ready drivers as soon as any new game hits the market. On the other hand, if you want the AMD RX 560, it is also decent considering it is available for a slightly lower price. Lastly, Flipkart and Amazon usually, don’t offer a good price for PC hardware and it is better to buy from Md-computers, ABGBP or even in the retail stores. Thanks for reading the article, you can ask any questions or share insights in the comments, and I will definitely revert to it. Can I go for GTX 1050Ti to play most of the new games? 1050Ti is good for 1080P gaming but Better to get the GTX 1060 3GB version or the AMD RX 570 4GB around 15k.